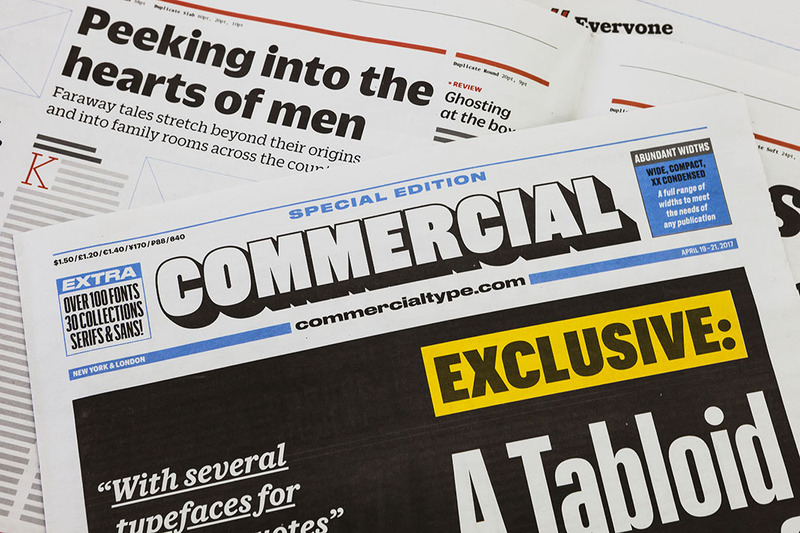 On the occasion of the 2017 conference of the Society of News Designers, I designed a two-part specimen showing a broad selection of the typefaces in the Commercial Type library designed for newspaper and magazine use. 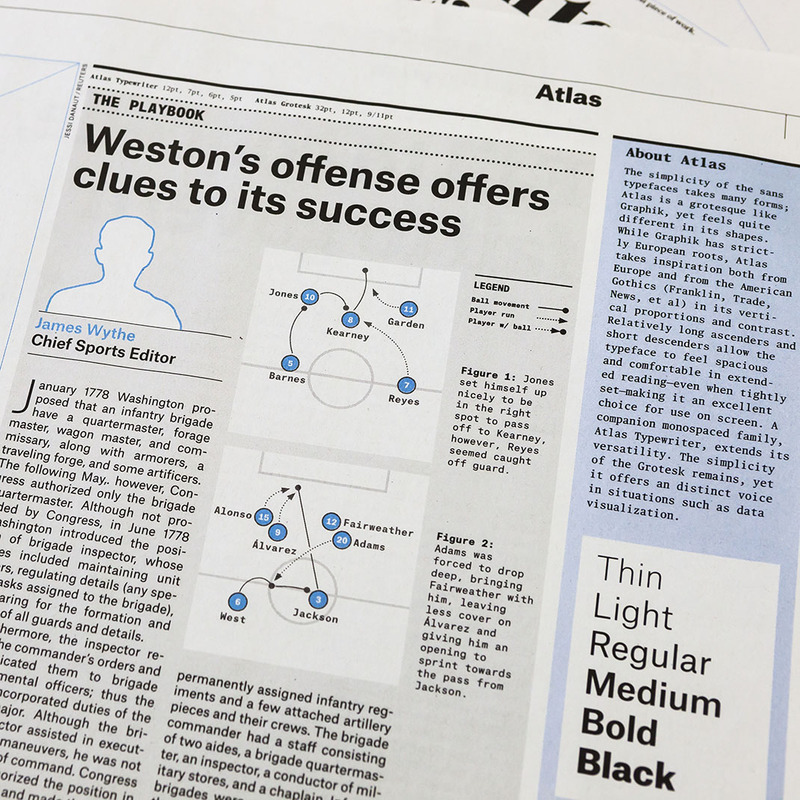 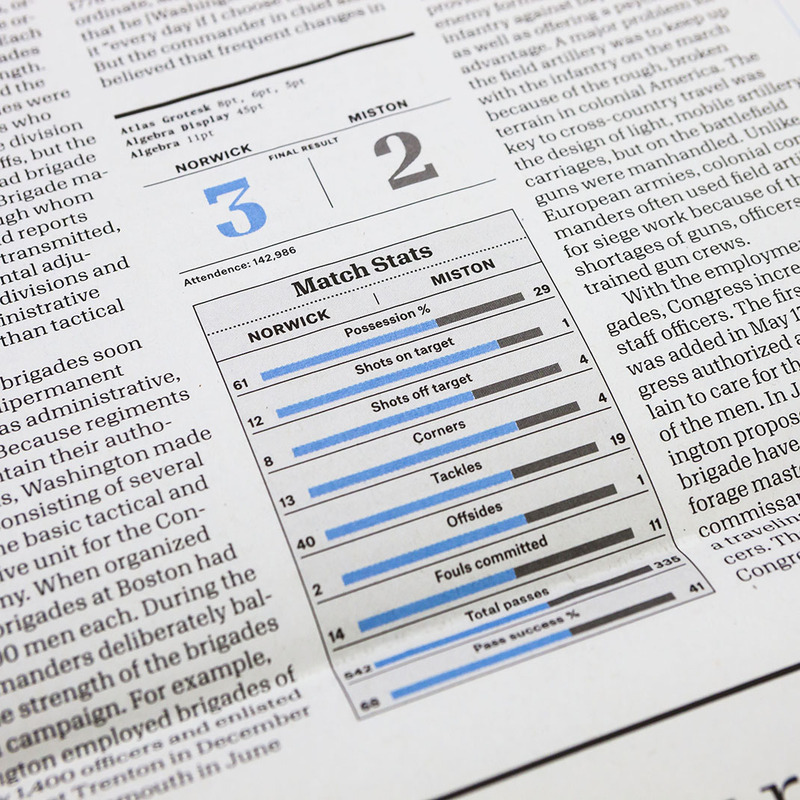 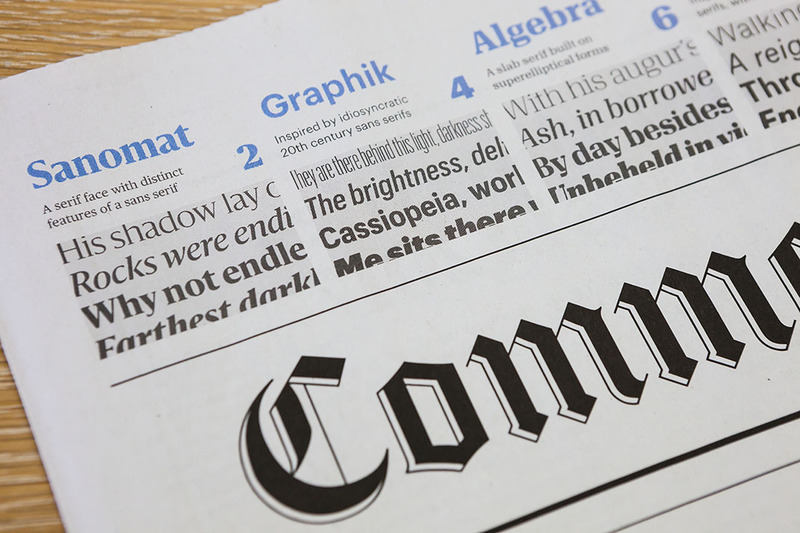 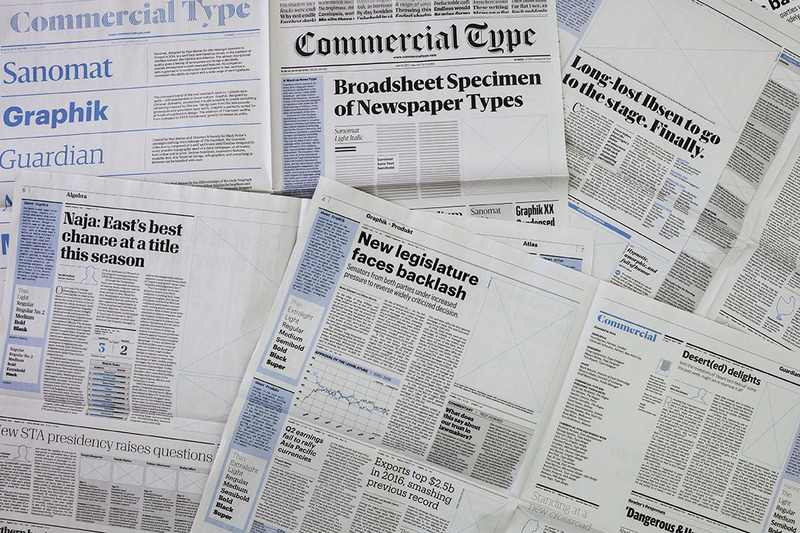 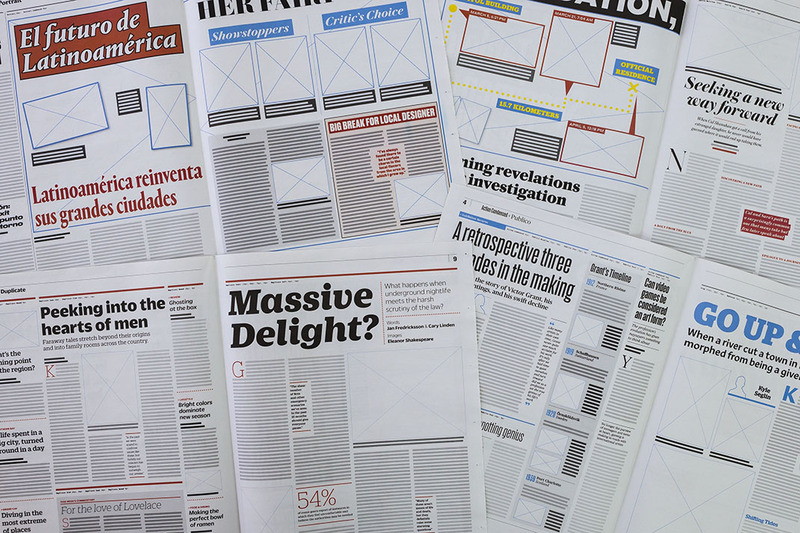 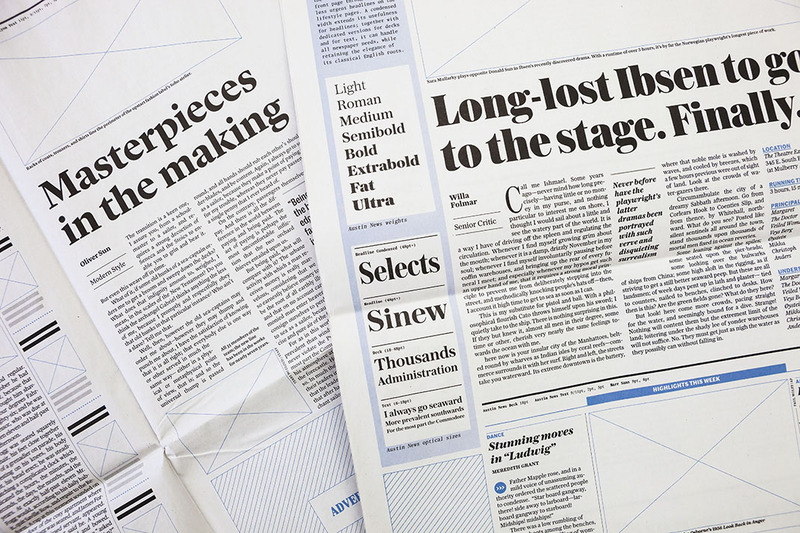 The first part of the specimen is fashioned in the style of a daily broadsheet newspaper, and is meant to showcase families—such as Sanomat, Guardian, Publico, and Graphik—that are geared towards more “serious” news use. 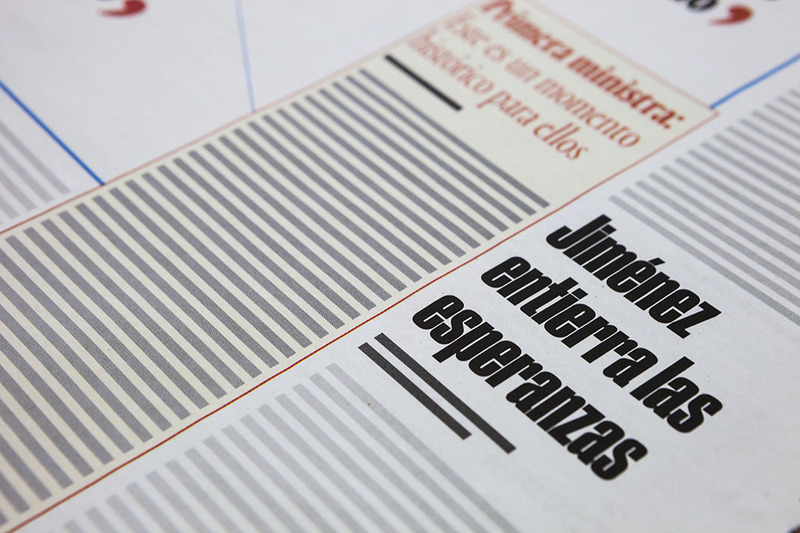 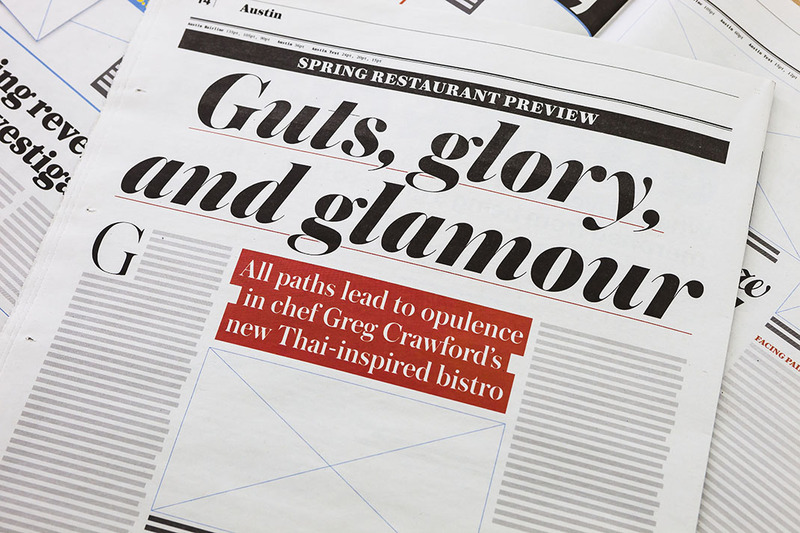 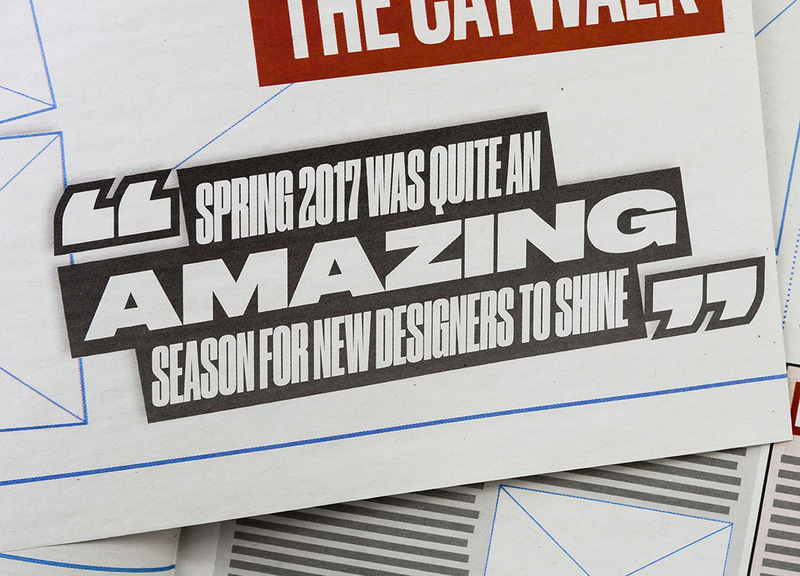 The second part of the specimen is formatted in the vein of a tabloid, and features more expressive type treatments using families such as Druk, Action Condensed, Robinson, and Duplicate. 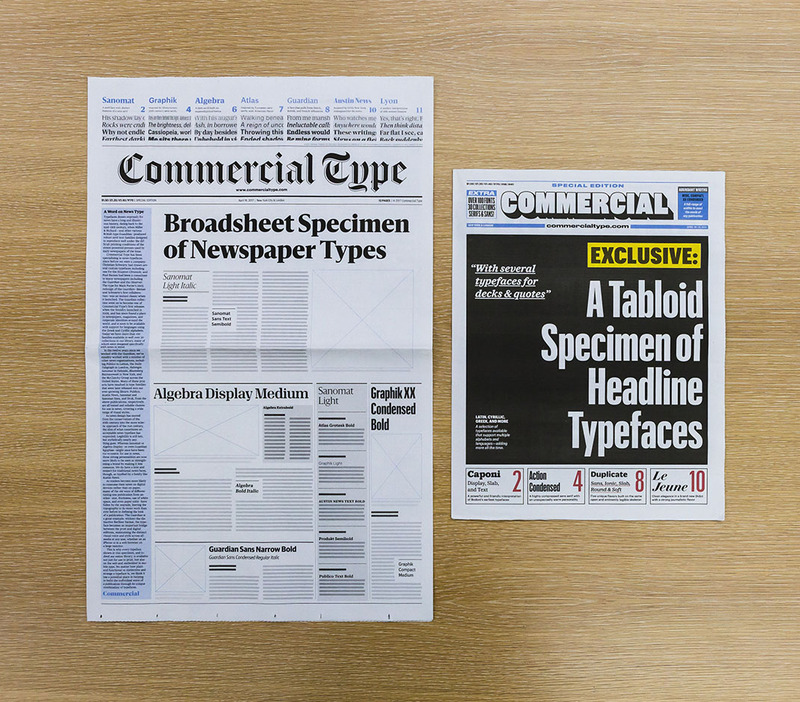 This specimen was awarded a Certificate of Typographic Excellence by the Type Directors Club of New York for the TDC64 Typography Competition and will featured in Typography 39, the TDC’s 2018 Annual.